[What has been] missing until now is a work that reconstructs the reception of the Italian composer in Victorian England. Massimo Zicari's book fills this gap through a painstaking investigation of the music reviews that appeared in the British press over approximately six decades. Now a byword for beauty, Verdi’s operas were far from universally acclaimed when they reached London in the second half of the nineteenth century. Why did some critics react so harshly? Who were they and what biases and prejudices animated them? When did their antagonistic attitude change? And why did opera managers continue to produce Verdi’s operas, in spite of their alleged worthlessness? Massimo Zicari’s Verdi in Victorian London reconstructs the reception of Verdi’s operas in London from 1844, when a first critical account was published in the pages of The Athenaeum, to 1901, when Verdi’s death received extensive tribute in The Musical Times. In the 1840s, certain London journalists were positively hostile towards the most talked-about representative of Italian opera, only to change their tune in the years to come. The supercilious critic of The Athenaeum, Henry Fothergill Chorley, declared that Verdi’s melodies were worn, hackneyed and meaningless, his harmonies and progressions crude, his orchestration noisy. The scribes of The Times, The Musical World, The Illustrated London News, and The Musical Times all contributed to the critical hubbub. Yet by the 1850s, Victorian critics, however grudging, could neither deny nor ignore the popularity of Verdi’s operas. Over the final three decades of the nineteenth century, moreover, London’s musical milieu underwent changes of great magnitude, shifting the manner in which Verdi was conceptualized and making room for the powerful influence of Wagner. Nostalgic commentators began to lament the sad state of the Land of Song, referring to the now departed "palmy days of Italian opera." Zicari charts this entire cultural constellation. Verdi in Victorian London is required reading for both academics and opera aficionados. Music specialists will value a historical reconstruction that stems from a large body of first-hand source material, while Verdi lovers and Italian opera addicts will enjoy vivid analysis free from technical jargon. 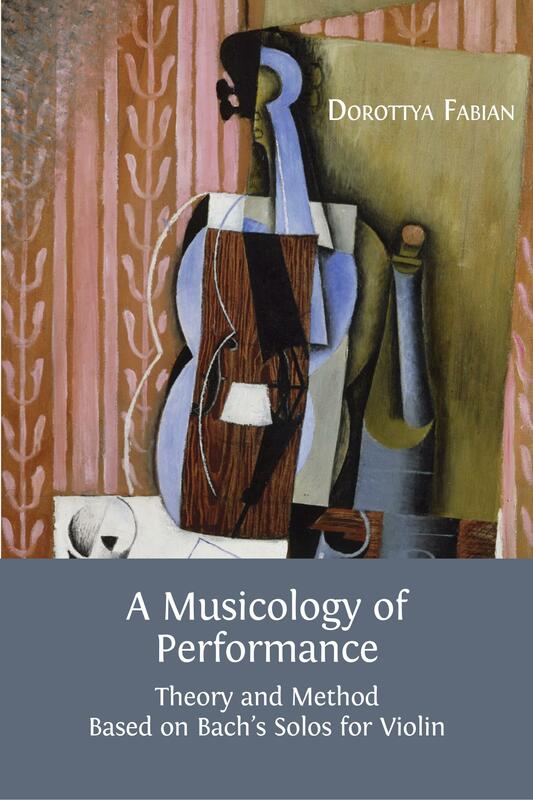 For students, scholars and plain readers alike, this book is an illuminating addition to the study of music reception. 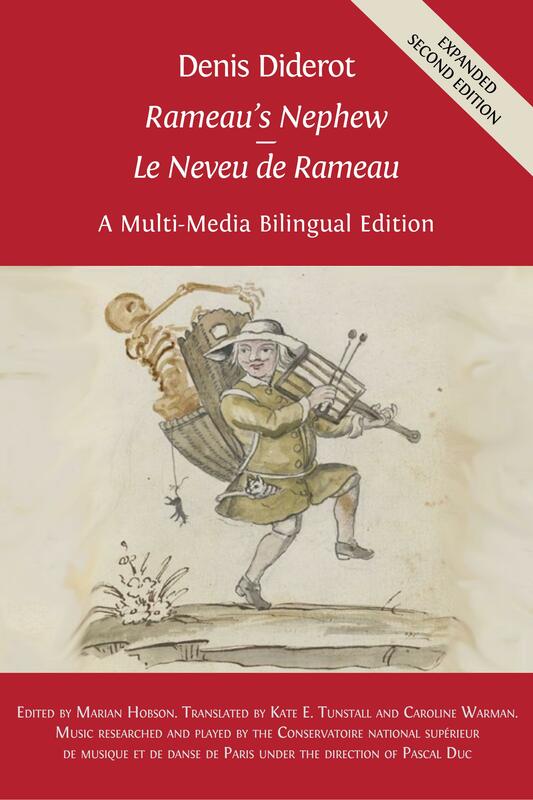 Cantone Ticino (Aiuto federale per la salvaguardia e promozione della lingua e cultura italiana) and Fondazione Fabio Schaub (Canobbio - Ticino) have generously contributed towards the publication of this volume. Massimo Zicari, flautist and musicologist, is Deputy Head of Research at the University School of Music (Conservatorio della Svizzera italiana) in Lugano, where he also teaches music history since 2005. In 2009 he was visiting Fellow at the Institute of Musical Research, School of Advanced Studies, University of London, for a project concerning the reception of Verdi’s Operas in London. His studies focus mainly on opera reception but include also research areas such as acoustics and performance science. His publications have appeared in Italy, Spain, Switzerland, the United States of America, Australia and Romania. His most recent contributions include (with J. MacRitchie, et al. ), 'Trumpet Mouthpiece Manufacturing and Tone Quality', Journal of the Acoustical Society of America, 134 (5), November 2013, pp. 3872–86; 'Un caso di moralità: La Traviata nella Londra Vittoriana (1856)', Musica/Realtà, 103, Marzo 2014; Massimo Zicari, 'Giuseppe Verdi in Victorian London,' Studia Musica, LVII (2), 2012, pp. 153-62; MacRitchie, J. and Zicari, M. (2012), 'The Intentions of Piano Touch', in E. Cambouropoulos, C. Tsougras, P. Mavromatis and K. Pastiadis (eds. ), Proceedings of the 12th International Conference on Music Perception and Cognition (ICMPC) and the 8th Triennial Conference of the ESCOM, July 23-28, 2012, Thessaloniki, Greece; 'La prima recezione di Giuseppe Verdi a Londra: Henry Fothergill Chorley e l’Athenaeum', in Schweizer Jahrbuch für Musikwissenschaft (2011). This introduction provides a first account of the conditions of music journalism in Victorian London. Although by 1850 music criticism had established a secure place in English journalistic culture, the quality of the reviews that made their appearance week after week was still uneven. Music critics published anonymously and often contributed to many a journal at the same time. 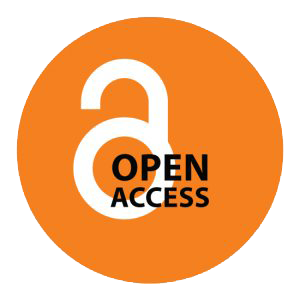 Four journals assume particular relevance for this investigation: The Athenaeum, The Musical World, The Times, and The Musical Times. Although a literary journal, in January 1834 The Athenaeum assigned a dedicated space to music in the "Music and the Drama” columns, whence Henry Fothergill Chorley, who had joined it in 1833, shot his merciless darts. The Times, whose chief music critic was James William Davison, provided informative and qualified daily accounts of virtually any music event, including operatic performances and symphonic concerts. The Musical World, founded in 1836, was also dominated by the figure of Davison, who became its editor in 1843. It was the only British music journal comparable to La Revue et Gazette musicale, Die Neue Zeitschrift für Musik, and the Gazzetta Musicale di Milano. The Musical Times gained in prominence only in the 1860s thanks to the work of his third editor, Henry Charles Lunn. Lunn antagonized the figure of Verdi but his personal ideas did not preclude the possibility for other critics to express more lenient opinions in the columns of the journal he edited. What were these critics’ orientations? Although it is not entirely true that English music critics were that cautious when called upon to express their opinion (witness Henry Fothergill Chorley and James William Davison), and even though generalizations are hazardous, it is possible to argue that, at least until the 1870s, Victorian music journalists tended to favour the old and cherish the classics at the expense of everything that sounded threateningly new. A first account of young Verdi’s success in Italy was given by Chorley as early as 1844. The critic, who had not yet had the opportunity to hear any of Verdi’s works, felt obliged to turn his attention to the emerging Italian composer because of his increasing popularity and on account of those recent events that, as he said, "had called attention of our English public to the modern style, or rather no-style, of Italian singing.” Chorley referred to what, in his eyes, appeared to be a widespread tendency all over Europe in the 1840s; the new fancy consisted in getting rid of what was essential, melody, and focusing on what he thought to be of secondary importance, that is shapeless dramatization. Ernani was performed at Her Majesty’s Theatre on 8 March 1845. While the public seem to have reacted with a sense of tardiness that was said to be consistent with its notoriously conservative habits, the critics were divided. Chorley lamented that Italy lay in a state of decadence and opera was at its lowest ebb. Ernani. The Illustrated London News acknowledged the effort Verdi had made to formulate a new operatic genre; even though lacking in some of the traditionally cherished qualities that were typical of the Italian tradition, the composer was clearly possessed of a true dramatic power. The critic of The Times, probably still Charles Lamb Kenney, introduced the new star of southern music to his readers and claimed that Verdi was the most innovative composer of the moment, the one who was creating a musical epoch.. In 1846 Benjamin Lumley brought Nabucco to London, with which he opened the opera season at Her Majesty’s Theatre on 3 March 1846; I Lombardi, followed a couple of months later, on 12 May. As Frederick Crowest put it, "the object in presenting this Nabucco by Verdi was to afford the English public an opportunity of a further judgment upon the ear-arresting composer of Ernani.” In London Nabucco had to be renamed Nino, Re d’Assyria, in compliance with a norm that precluded the slightest connection of a biblical subject with stage representation. The change in the title and the plot conformed with a norm that was applied with a certain degree of flexibility; in fact "it was possible for religious plays to be granted the Lord Chamberlain’s license as long as the directness of the scriptural parallels was obscured sufficiently to satisfy the letter rather than the spirit of the prohibition on scriptural drama.” The ban was generally mitigated whenever an operatic performance in Italian was involved. Since the vast majority of the public did not really understand the lyrics, which were, to some extent, considered complementary to the music, a few changes in the plot and its transposition to a safer historical setting would suffice to avoid the veto. Therefore, the same religious subject which would have been banned as a drama, could have been granted the license when presented in its "musical disguise.” In a popular sense the opera, conducted by Michael Balfe and interpreted by Luciano Fornasari as Nino, Giulia Sanchioli as Abigail and Amalia Corbari as Fenena, was a success. Chorley and Davison conceptualized Verdi’s first compositional and dramatic achievements having in mind the model provided by Rossini and his predecessors, Cimarosa and Paisiello, now considered as imperishable classics. The Times adopted milder tones while The Musical World did not fail to seize each and every opportunity to make harsh and gratuitously offensive comments at the expense of the Italian composer. This to such an extent that would be considered intolerable today in a journal claiming credibility and serious commitment. However, not every critic agreed with Davison and Chorley on Verdi being devoid of any compositional talent. Some of them showed signs of sincere appreciation, as testified by The Illustrated London News: "In fine, in the music of the opera the composer has shown himself possessed of all the legitimate sources of success. It bears the stamp of genius and deep thought, and its effect upon the public proved that its merits were appreciated.” Similar appreciative opinions can be found in The Herald, The Daily News, and The Post. In autumn 1846 a series of crises at Her Majesty’s Theatre culminated with the secession from that operatic establishment of the conductor Michael Costa and the principal singers. Costa, Mario, Grisi, Persiani, and Tamburini, followed by many members of the orchestra, formed themselves into a rival company and on 6 April 1847 inaugurated a second Italian opera season at Covent Garden. As a consequence of the secession, in 1847 I Due Foscari was produced twice, once by each lyrical establishment; the first was on 10 April at Her Majesty’s Theatre, the second on 19 June at Covent Garden. Apparently, either production was a triumph. Two months later I Due Foscari was produced at Covent Garden, featuring the three representatives of the old guard: Giorgio Ronconi was the old Doge, Giovanni Mario was his son Jacopo Foscari, and Giulia Grisi was Lucrezia. According to The Musical World, I Due Foscari produced at Covent Garden was the most complete success. However, the success of the artists, and not of the opera, was immense: every act a re-call, every aria an encore. As for Chorley, the review published in The Athenaeum on 26 June bears evidence of him sharing his colleagues’ opinion with regard to the high merits of the performers as opposed to the inferiority of the music. The Illustrated London News addressed the value of the interpreters indulging in such unconditionally positive judgments as "transcendent talent,” "enormous power of voice,” "inexhaustible resources,” "divine singing,” and "superb acting.” Verdi benefitted enormously from such a powerful cast and, had he considered a milder compositional style, a style more respectful of the singers’ voice, he might have achieved much better results. On 22 July I Masnadieri was premièred at Her Majesty’s Theatre, featuring Luigi Lablache as Massimiliano, Italo Gardoni as Carlo, Filippo Coletti as Francesco, Jenny Lind as Amalia, Leone Corelli as Arminio, and Lucien Bouché as Moser. The long promised and eagerly expected new opera by Verdi was performed; the opera-house was crammed to the ceiling, Queen Victoria and Prince Albert also occupying the royal box. On Tuesday 14 March 1848, Attila was premiered at Her Majesty’s Theatre. The reasons why Lumley took into consideration Attila can be evinced from his Reminiscences; "None, perhaps, of Verdi’s works had kindled more enthusiasm in Italy, or crowned the fortunate composer with more abundant laurels than his Attila. Its fame was great in the native land of the composer.” In his catering for novelty Lumley had focused on one of Verdi’s most popular operas in Italy at that time, and decided to produce it at Her Majesty’s Theatre in the hope that it would add to the lustre and splendour of his operatic establishment. However, as Lumley reports, the opera was a fiasco. Lumley was not in the position to either sense or understand those non-musical reasons which lay behind the success of Attila in Italy, and that could not be reproduced in London. In fact, although it would be impossible to demonstrate a direct relationship between Verdi’s music and the political unrest that characterized Italian Risorgimento, "it would be draconian to attempt to deny completely the existence of a relationship between Verdi’s music and the political tenor of the times.” The issue involves at least three aspects. The first relates to Verdi’s commitment to the cause of Italian unification and the extent to which this can be found reflected in his compositional work; the second relates to the potentially subversive content of the libretto; the third to the manner in which opera-goers may or may not have appropriated the political metaphor the lyrics conveyed. Granting that the subject of Attila should not be understood as a political metaphor, the relationship between Verdi’s operas and the political tenor of the time represents an issue. In fact, despite the intervention of the censors the libretto of Attila includes passages that any contemporary Italian opera-goer would have easily understood as an allusion to his own struggle against the foreign invader, regardless of the composer’s true intentions. The conflictual dynamics between two antagonist characters and the subsequent deployment of two rival forces on stage – the first struggling for freedom and independence, the second trying to deprive the first of both – could result in a symbolic, politically oriented reinterpretation of those dynamics. A diffuse sense of patriotism prompted Italian opera-goers to understand the fictional conflict represented in the scene as the symbolic illustration of their own struggle against the foreign oppressor. Of these circumstances Lumley did not seem to be aware; nor did those critics whose reviews of Attila made their appearance in London in 1848. If we look at the operatic life in Victorian London and take into account uniquely the production and the reception of Verdi’s works, the period spanning the years 1849-1852 can be defined as mostly uneventful. All the more so if we consider that four new operas of Verdi were premiered in Italy during those years: La Battaglia di Legnano (Rome, 27 January 1849), Luisa Miller (Naples, 8 December 1849), Stiffelio (Trieste, 16 November 1850), Rigoletto (Venice, 11 March 1851). It was not until until 14 May 1853 that Rigoletto was produced at Covent Garden for the first time. On 14 May Rigoletto was performed at Covent Garden, featuring Madame Bosio as Gilda, Mario as Duke of Mantua, Ronconi as Rigoletto, Tagliafico as Sparafucile, and Nantier-Didiée as Maddalena. The opera was pronounced a triumph, but the most conservative critics objected that it was thanks to the splendid interpreters and notwithstanding the poor quality of the music. Contrary to what had been said in the continent about Verdi having entered a second compositional stage, Victorian critics tended to insist that no sign of it could be really found in his music. The only audible difference consisted in the composer neither overloading the music with trombones and drums nor terminating with the usual choirs singing in unison. Rigoletto was not even equal to Verdi’s previous works, for while Ernani and Nabucco featured many stirring melodies, the same could not be said apropos Rigoletto. Again, if possible, the last opera was pronounced the worst. No sooner had the year 1855 commenced than the critic of The Musical World called attention to the works and writings of Richard Wagner. Wagner had been recently invited to succeed Michael Costa as conductor at the Philharmonic Society and his arrival was imminent. The entire musical Europe had reacted badly to his Judenthum in der Musik, in which he had pronounced the music of Meyerbeer and Mendelssohn a sham; as a consequence, wherever the names of these composers were respected Wagner might have easily expected many fierce and vindictive enemies, eager to counterattack. Chorley and Davison, who continued to favour Mendelssohn and value his classical composure, were ready to fight back. In the meantime, on 10 May Il Trovatore was premiered at Covent Garden, featuring Pauline Viardot as Azucena, Jenny Ney as Leonora, Tamberlik in the title role and Graziani as the Conte di Luna. W.H. Beverley took care of the scenery while Michael Costa was the conductor. The performers were all positively received, and particular emphasis was given to Viardot’s rendition of the main role. Even though it cannot be assertively stated that in 1855 the number of positive remarks at the address of Verdi increased meaningfully, a change for the better can be observed. An increased familiarity with his works, some of which already comprised in the regular operatic repertoire at Covent Garden, together with a gradual, but still significant transformation in Verdi’s style, however defined by the contemporary critics, contributed to the improvement of the composer’s image among his detractors. As a result, by 1855 milder tones and more appreciative remarks had substituted for the scornful expressions typical of the previous years. In England La Traviata was to become a moral case for, as it has been already clarified, in this opera "the social issues related to women and morality assumed a special significance.” The question concerning the Victorian sense of decorum and the fear that the plague of prostitution might be enhanced by any sort of instigation, be it in the literature or on stage, played an important role not only in stirring up the discussion, but also in determining the popular success of La Traviata in London. The idea of having a lorette on stage was perceived as outrageous and offending, and the negative influence exerted by the French literature was a deplorable circumstance. The different positions assumed by the contemporary critics can be summarized in the following terms. La Traviata was immoral and should have been banned from the stage, due to its shameful subject; it was wrong and even dangerous to disguise its hideousness by means of a nice vocalization; La Traviata was no less immoral than any other opera of the same kind; teaching a moral lesson was still a business of the stage; the subject reflected the continuous conflict between good and evil, but in a new shape. Although not every critic agreed on Marietta Piccolomini being a valuable singer, most of them claimed that she only was to be credited with the enormous success of the opera. Instead, the composer remained neglected and his role was not fully acknowledged. In 1858 Luisa Miller was premiered in London. As mentioned before, little or no attention had been paid to this opera in the past nine years, Luisa Miller having been created in Naples on 8 December 1849, and produced in Paris, at the Salle Ventadour du Théâtre Italien, on 7 December 1852. On the first occasion quick reference to the then new opera was made by The Athenaeum, but its success was said to be dubious and its subject not suitable for the composer. Nor had the debate concerning Verdi’s new style found significant resonance in the London press during the following years. Once considered the complete oblivion in which Luisa Miller had fallen, at least in so far as the London scene is concerned, it may seem surprising that in 1858 the manager of Her Majesty’s Theatre took into consideration the production of an opera that showed little or no chance to appeal to the London public. The reasons that led to such a decisions are difficult to ascertain, for no public statement appeared in the press in this regard, and no explicit reference is to be found in Lumley’s Reminiscences. Nevertheless, in insisting on the attractiveness of the interpreters rather than on the prominence of the composers, the theatre manager’s account of the season provides us with some clues. It was in order for Marietta Piccolomini to shine with renewed lustre, as Lumley put it, that the production of a completely new opera was decided, this being the long forgotten Luisa Miller. Luisa Miller was given at Her Majesty’s Theatre on 8 June 1858, with Piccolomini as Luisa, Marietta Alboni as Duchess Frederica, Antonio Giuglini as Rodolfo, Federico Beneventano as Miller, Vialetti as Walter, Castelli as Wurm, Gramaglia as Laura; Vincenzo Bonetti was the conductor. The critics of The Times, The Athenaeum and The Musical World agreed that it was the worst Verdi ever composed; they shared a strong aversion for the dramatic plot and an even stronger dislike for the manner in which the composer had set it to music. In 1858 the professional career of Benjamin Lumley in the operatic management came to an end, and on 10 August his establishment passed into the hands of Lord William Ward, Earl of Dudley. In February 1859 it was reported that Her Majesty’s Theatre had been purchased by a joint-stock company with the intention to convert it in a huge hotel. On 19 March E.T. Smith, the Lessee and Director of the Drury Lane Theatre, could issue the official programme of his forthcoming Royal Italian Season. The Royal Italian Opera Season at Drury Lane Theatre opened on 25 April with La Sonnambula conducted by Benedict, while Victoire Balfe (daughter of the conductor), Cesare Badiali, Castelli and Pietro Mongini assumed the main characters. The divertissement entitled Ariadne (ballet by Petit and music by Adolphe Adam) followed the same night. On 7 July Tietjens was Norma for the first time in London and finally, on 27 July I Vespri Siciliani was produced at Drury Lane. By the late 1850s such operas as Rigoletto, Il Trovatore and La Traviata had entered the regular operatic repertoire in London and established themselves as "stock operas.” They were ready to be put on stage at a moment’s notice, and could be relied upon in order to secure a large audience; all the more so if a cast of cherished songstresses were attached to them. Contemporary commentators and music critics seem to have become more inclined to consider these operas as part of an operatic repertoire now consolidated and accepted together with Ernani and Nabucco. In terms of singing style two scenarios were now considered acceptable by the critics; the first was qualified by Rossini’s coloratura while the second was exemplified by Verdi’s new declamation-like manner. The old complaint describing the new singing style as the emblem of a state of decadence made room for a different, milder opinion, according to which two styles were now equally suitable, depending on the repertoire. In 1860 Mr. Smith’s effort to take over the management of Her Majesty’s had been successful and the Italian Opera Season there had resumed the long tradition initiated by Lumley; the Covent Garden continued to collect its share of success thanks to Mr. Gye’s entrepreneurial attitude and his collaborators’ skills. Things changed dramatically in 1861, when unprecedentedly severe financial losses led Mr. Smith to renounce the Italian opera season. In the meantime Mr James Henry Mapleson, the late factotum of Mr Smith, opened a new Italian Opera season at the Royal Lyceum Theatre where Il Trovatore was given on 8 June, featuring Mlle Tietjens as Leonora, Alboni as Azucena, Giuglini as Manrico and Gassier as Ferrando. The same cast was announced for the performance of Verdi’s last opera, Un Ballo in Maschera, which was scheduled on 15 June. The production of Verdi’s new opera had been announced by the managers of both Italian theatres in a moment when the prestige of its composer seemed to be on the wane, "when his popularity appeared to totter beneath the new impetus given to good music; when the Trovatore was beginning to pall upon the public taste, and the Traviata was all but banished from the operatic repertory.” Although Un Ballo in Maschera had first appeared among the novelties announced in Gye’s prospectus that year, Mapleson was the first to produce it. The success of the opera at the Lyceum, the critic of The Musical World held, was undeniable and, although different opinions had been expressed in this regard, it was as undeniable that the opera was full of melodies "likely to fasten on the general ear.” Soon afterwards, Un Ballo in Maschera was produced at Covent Garden with a cast that included Rosina Penco, Mare Miolan Carvahlo, Constance Nantier-Didiée, Francesco Graziani, Mario, Joseph Tagliafico and Zelger. In 1862 Verdi’s Cantata Inno delle Nazioni was the object of an animated discussion, which had ample resonance in the London press. From 1 May until 1 November 1862 a Great London Exhibition was held in London, sponsored by the Royal Society of Arts, Manufactures and Trade; a new gigantic building was realised for that purpose in South Kensington and four musicians of international prominence were asked to compose a new work to inaugurate the event. Already on 6 July 1861 The Royal Commissioners extended an invitation to Meyerbeer, Auber and Rossini, to compose a march for that occasion. Rossini having already declined the invitation, the name of Verdi was made as a possible substitute. For reasons that remained long unclear Verdi’s composition was not included in the programme of the opening ceremony. Rumours had it that the hitches leading to this unfortunate circumstance originated from the director Michael Costa. His antagonistic attitude towards his colleagues caused a series of difficulties not only with Verdi, but also with Bennett, whose Cantata had to be entrusted to a second conductor. After five almost uneventful years, in 1867 two new operas were put on stage in London, bearing the name of the only Italian composer who was able to draw upon himself the attention of the international public; Don Carlos and La Forza del Destino. On 4 June the premiere of Don Carlos was conducted by Michael Costa at Covent Garden, while, after a revival of Il Trovatore, La Forza del Destino was given at Her Majesty’s Theatre. In spite of all that was indifferent, dull and heavy, some critics held, Verdi’s new opera included some of the finest music he had ever composed. But, it was suggested, everything that was good in the opera originated from a careful imitation of Meyerbeer’s model. Although it was impossible to deny Verdi’s international reputation, it rested upon the success of two or three operas out of twenty, among which Il Trovatore was to be considered one of the best. Instead, Don Carlos showed little chance of surviving a second year, since it lacked those bright melodies and concertato pieces that were characteristic of many of Verdi’s previous operas. To our surprise, some critics lamented a lack of melodiousness in Verdi’s new style which appeared especially noticeable when it was considered in comparison to the melodiousness of his early operas. The Illustrated London News argued that in Don Carlos Verdi had assimilated the lesson of the "German school,” but he could not clarify how that influence was manifest in Verdi’s new compositional style; nor was it sufficiently elucidated whether, by "German school” Wagner’s works and theories were to be understood. The critic seemed to appreciate the turn taken by the Italian composer but doubted whether the more erudite style presented in his new opera would continue to fulfil the public’s expectations. With the only exception of The Illustrated London News, none of the critics taken into consideration seems to have agreed with their French colleagues on the extent to which Wagner and the so-called German school may have influenced Verdi’s recent development. Instead, whenever it came to identifying the models from which Verdi might have taken inspiration, Meyerbeer was often mentioned. Something similar happened when La Forza del Destino was performed on 22 June at Her Majesty’s Theatre. The critic of The Illustrated London News seemed to appreciate the opera, and insisted that the influence of the "German school” was remarkably evident. Verdi was pronounced a real artist and the performance a true accomplishment. The Athenaeum, as it can be easily predicted, was particularly hostile. The music, while lacking in that pure individual melody which one would expect in any Italian composer, had some merit in the orchestral accompaniments, although they were said to be instrumental in concealing the meagreness of the melody. In 1869 Verdi’s compositional work did not appear to be subject to any in-depth critical scrutiny, nor was any new opera put on stage that would draw the critics’ interest; instead, considerable attention was bestowed upon Wagner, whose Das Judenthum in der Musik had been published in Leipsic. On 17 April The Musical World published the English translation of Eduard Hanslick’s response to Wagner’s attack. To this, more articles followed, also focussing on the performance of Die Meistersinger at Karlsruhe and the announced production of Rheingold in Munich on 15 August, granted by the King of Bavaria. Starting on 15 May the serialized publication of the full text of Judaism in Music appeared in the columns of The Musical World. Reviews and critical contributions made their appearance in the columns of many a periodical, including The Pall Mall Gazette and The Athenaeum, which commented quite harshly on Wagner’s musical achievements and personal hatred against the Jews. To some extent, the general animosity expressed by the English press was caused by the explicit reference Wagner had made to England, to the religious orientation of the country, and to Mendelssohn, one of his most cherished musical champions. All this added to the already widespread sense of bewilderment that Wagner’s theories on music drama had occasioned among the critics, together with the self-laudatory statements he had repeatedly uttered at the expense of his colleagues composers. In spite of the strong opposition generated by Wagner in London, on 23 July 1870 Wagner’s Der Fliegende Holländer was produced at Drury Lane as L’Olandese Dannato, the Italian version prepared by Salvatore Marchesi. The 1875 London opera season appeared to be full of promises and much attention was paid to the long expected performance of Wagner’s Lohengrin. But Lohengrin was not the only novelty promised to the London public that year, since on 13 May The Times and The Musical World announced the forthcoming performance of Verdi’s Requiem Mass at the Royal Albert Hall conducted by the composer. The Requiem was performed seven times in Paris, between 19 April and 4 May, four times in London, at the Royal Albert Hall, between 15 and 29 May (the first performance being preceded by an open full rehearsal on 12 May), and three times in Vienna on 11, 12 and 16 June. The critic of The Athenaeum was by far the most contemptuous; although he argued that it was not "imperatively necessary that in a Requiem the music should be what is called "religious,” he made some scornful remarks about the deadly subjects so dear to the composers, and insisted on the composer’s preference for heroines being killed on stage. A much more serious fault was the lack of a prevalent, distinctive style, the score being rather qualified by a marked inequality. His attitude resembles that exhibited by Hans von Bülow, who had reviewed the same work one year before in the Allgemeine Zeitung. Aida was given in London for the first time on 22 June 1876. On 23, in reporting briefly on its immediate popular success, the critic of The Times addressed Verdi as the "dramatic composer, who for some 30 years has been one of the chief entertainers of our opera-going public, and whose melodies, through every available source, have long been made universally familiar among us.” Even though defining Verdi as an entertainer of the operatic public does not mean paying him a flattering compliment, such an expression can be understood as a genuine tribute to a composer whose international prominence could no longer be underrated. The question arises, whether the reference to his entertaining function stems from or depends on the antagonistic position now occupied by Wagner and his lofty theories on music-drama. In fact, a comparison was drawn by the critic between the poverty of Aida’s libretto, which was lacking in many respects, and the manner in which Wagner’s works were instead qualified by a more stringent sense of dramatic necessity; the German composer had now established himself as a benchmark for narrative consistency in operatic matters. However, the critic did not agree with those commentators who argued that Wagner’s influence was audible in Verdi’s music. Although it was not possible to deny that Verdi’s style had developed over time, the claim that he was imitating his German colleague was devoid of solid justifications. 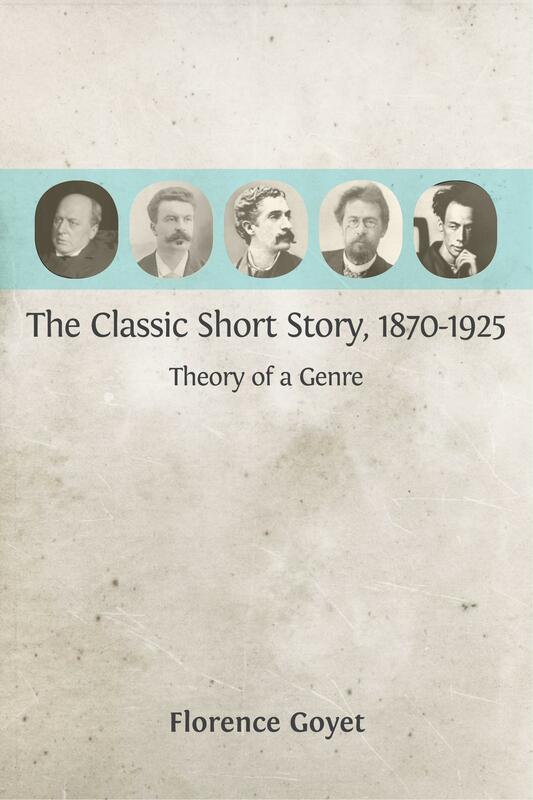 In the 1870s music journalism in London witnessed some major changes, in part owing to a group of well-known personalities passing away and a new generation of young music critics making their appearance. Notwithstanding the increasingly larger attention paid by Victorian periodicals to music and operatic events, and despite the quality of the scholarly contributions that made their appearance in the specialized press over the decades taken in consideration, not everybody agreed on the real value of music journalism in late Victorian London. Music journalists were still said to be lacking in both solid competences and proper critical acumen, a circumstance leading to either long and convolute prose texts indulging in the inessential, or to incomprehensible technical analyses of the score which, by challenging the composer’s competence and skills revealed, instead, the critic’s own ignorance. After 1873, Wagner’s theoretical edifice and dramatic accomplishments also came to affect Victorian Music journalism. The increasing attention paid to the German composer should be understood not only in relation to the ongoing critical discussion at international level, but also on account of his works being performed in London. By the mid-1880s an increasingly larger number of commentators had begun to bestow more appreciative judgments upon Wagner and those progressive critics who had embraced Wagner’s tenets now included his notion of music-drama among their judging criteria. This circumstance involved a changing attitude towards those traditional stock-operas at which they now looked with contempt. However, those among the public who still opposed Wagner took refuge in the past operas, craving for those "palmy days” in which declamation had not yet prevailed over proper singing and the orchestra still played a subordinate role. The Milan premiere of Otello offered itself as an opportunity for the English critics not only to report on a momentous event in the history of Italian opera, but also to elaborate on the figure of Verdi both as a man and a composer. Some of the correspondents published ample retrospectives covering his industrious career and numerous works, while others indulged in portraying him as a country gentleman, a landed proprietor and successful breeder of horses who now used composition as a means of relaxation during his leisure hours. Notwithstanding its unquestionable success and the rumours concerning Harris’ early negotiations, it took more than two years before Verdi’s Otello could reach London. Moreover, it would not be given at Covent Garden, but at the Royal Lyceum Theatre, where it was performed on 5 July 1889. Together with Augustus Harris’ and Mr. Mapleson’s enterprises, one more operatic venture operated in London in 1889; that of Marcus L. Mayer. In 1889 Mayer’s opera season at the Lyceum featured one title only: Otello The manager had secured the celebrated La Scala orchestra, conducted by Franco Faccio, and the services of Francesco Tamagno, the original Otello, Victor Maurel the original Iago, and Aurelia Catanéo, who substituted for Romilda Pantaleoni in the role of Desdemona. The minor parts featured Elisa Mattiuzzi as Emilia, Giovanni Paroli as Cassio, Signor Durini as Roderigo, Signori Silvestri as Lodovico and Marini as Montano. According to The Times, even though it was not possible to assert that Verdi had adopted Wagner’s method, it could not be denied that the second had exercised a powerful influence upon the first, as even a first superficial hearing would immediately reveal. As it had been the case with Otello, Verdi’s last operatic achievement drew the attention of the London press long before reaching England. Already in January 1893 some English correspondents reported from Milan where the premiere of Falstaff was in preparation. Again, the old composer was portrayed as a country gentleman who enjoyed gardening and considered music composition as a leisure time activity. No longer a young composer to be treated with contempt, scornfully described while banging on the piano and other drums, but rather a tall, gaunt figure, whose long grey hair and wrinkled forehead commanded respect.